Mérida’s developer communities will all come together for this fun, inclusive, and informative crossover event, taking place December 8, noon to 10:00pm. 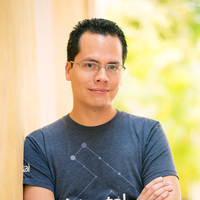 Greco Rubio, Toptal’s Community Leader for Mérida, will be on site. Feel free to connect with Greco to say hello, ask questions, or introduce your contacts who may be interested in finding out more about freelancing. Toptal is proud to sponsor this event. For more information and to RSVP, please see the official event page.